mandarin in the next iron man movie? We're about six or seven weeks now into the summer movie season. I've been able to see most of the big blockbusters, and so far, my favorite is still the one that kicked it all off, Iron Man. Considered both a huge critical and box office success, it's no surprise that they're already talking about a sequel. The story certainly left it open for a second one. 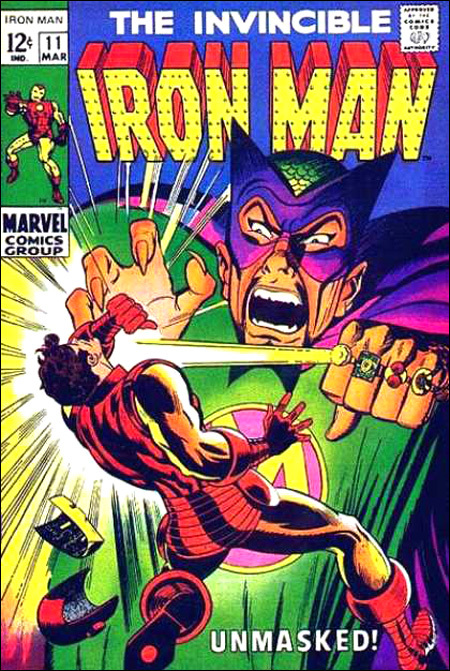 So... does that we might be seeing Iron Man's dreaded nemesis, the Mandarin, in a future film? A few weeks ago, director Jon Favreau hinted at the possibility: Iron Man's Repulsors Might Set on The Mandarin for Sequel. Back when they were still in production, there was a lot of initial speculation that Mandarin would be the villain in this first movie. I guess that didn't happen... yet. For those who are unfamiliar with Marvel Comics' Iron Man lore from the 1960s, Mandarin is basically their version of the Fu Manchu stereotype. He wields the evil extraterrestrial power of ten rings, each with a different destructive function (i.e. "Ice Blast," "Electro Blast," "Flame Blast"). The first film briefly makes mention of the terrorist organization "The 10 Rings"a clear reference to the Mandarin. "There is a lot that is very relevant about that character, in the pool of the landscape that we find ourselves in, but there is something off-putting and distasteful about the way that the Mandarin had been presented back in the '60s. I don't think that is relevant anymore. How do you maintain the core spirit of what makes that villain so formidable without having something that either seemed out of our reality, as far as what his abilities are, or the way he is depicted?"